Children's Book Cellar | random reads from a children's bookseller. I really loved Snowflake Falls for about 1/2 or 3/4 of the book. The main character, Henry, has learned the profession of thievery from his uncle and his associates from a young age. Although Henry’s mother would be horrified if she knew, now that she is gone (cancer) and his uncle is unavailable to care for him (jail), Henry has been forced to fall back on the casing, lock-picking, and creeping skills he has picked up in order to stay out of foster care. This first half of the book is absolutely delightful – Henry is living in a tree fort in an old lady’s house, filling in as the neighbourhood burglar for all his “benefactors.” The only problem is, he has a conscience and doesn’t like to take what people will miss – money for presents are off the list, as are items of sentimental value, and anything from someone down on their luck. Sometimes all he’s left with is loose change in sofa cushions. So times are tight for Henry, who is getting very little sleep and food, and who is finding it difficult to evade the authorities and convince his uncle that he’s doing ok. So it’s no wonder that he gets caught. 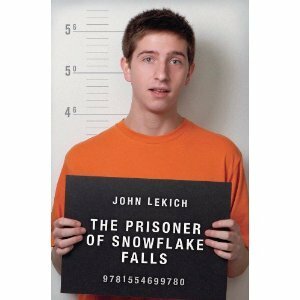 Thus starts the second part of the book – Henry’s incarceration in the tiny and sleepy rural town, Snowflake Falls. He is tasked with reforming himself and going above-board. This project proves to have mixed results. The strengths of this book are the amazing characters – Henry’s mater-of-fact deadpan delivery is wonderfully spot-on, and very chuckleworthy throughout the book. His uncle and associates are similarly fun and quirky, and Snowflake Falls is populated by very singular individuals (some a little too grating at first). 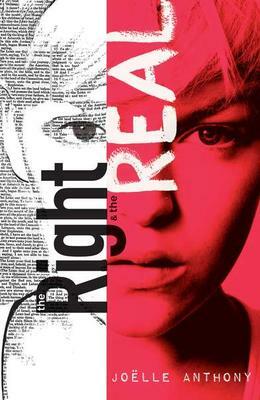 And the idea is charming – a teen thief with a conscience, who has a very sympathetic and unique insight into a lot of different lives. Unfortunately, the second half of the book let me down. Not only was it jarring to be taken to a completely different setting (I felt like some things that had been set up were abandoned – like Henry’s relationship with Ambrose, his last benefactor), there also wasn’t enough time to properly develop this new world. And then, just as the plot had picked itself up and was loping along nicely – the book ended! There really was no climax – just a sudden left turn and a screeching halt at the finish. I really wanted more – it felt like the author had to rush and get his manuscript in on time, and I think another draft and 3o more pages would really have helped. I suspect I wouldn’t be complaining so much if I hadn’t enjoyed the first chunk so much – I was really hoping to have found my favourite funny guy book since Gordon Korman’s Schooled or Son of the Mob. In the end, Snowflake Falls is still worth the read – but probably won’t rock your world like it had the potential to. A publisher sent me an autographed copy of the paperback of I’ll Be There to me recently and I was pretty excited. It was already on my list because of its great cover (not too girly compared to many recent additions to our store’s YA section), and all the praise it has received: LA public libraries picked it (Best of YA! ); Chicago libraries picked it (Best of the Best!) 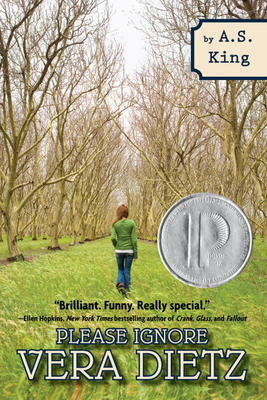 and YALSA picked it (Best Fiction for YA Books!) – not to mention recommendations from the Horn Book Review, SLJ, VOYA and Gayle Forman. All in all, it seemed like a worthwhile read. And I think I wouldn’t have had such a strong reaction if not for all this advance praise and hype. But fairly or unfairly, I didn’t enjoy it as much as everyone else in the world (or at least on the back cover and goodreads) did. I quickly bristled at the overbearing narrator/voice over that has very few limits on its omniscience. Not only is the present and past told (with occasional foreshadows of the future), but the narrator dips into almost every character’s head. This is not a bad thing in itself, but the narrator also intrudes on many of the conversations, often summarising what is said rather than presenting the dialogue for the reader to interpret and enjoy (strange for an author who usually writes screenplays!). Next (as a practising non-religious person), I found there was a lot of hidden religion in this book. Not that Sloan mentions God or faith very much – but a decidedly Christian sense of moral goodness and righteousness did permeate the book. First, there is the god-like narrator with his/her divine plan and omniscient knowledge about every outcome of every action. Second are the themes of small acts affecting others (which comes off a bit like divine planning), and keeping faith with others no matter what. Third, the main characters (the good characters) are all extremely wholesome and squeaky clean. The romance between Sam and Emily (I know – I haven’t even introduced them yet) is purely emotional and ethereal with very few hints of sexual desire or tension. And of course the first scene happens in a church. The basic story is that teenage Emily sees teenage Sam and it is love at first sight (of course). Even more than usual, their relationship is based on an unexpected, unexplained connection that draws them together despite improbable odds and significant obstacles (I really believe the author is talking about souls recognising each other). The main hitch is Sam’s family. His father is a crazy criminal (literally insane) and has kept Sam and his younger brother Riddle secluded from the world in his paranoid flight from town to town since he kidnapped them from their mother years ago. Sam begins seeing Emily despite the danger of his father discovering her and of her family finding out about him, and despite the fact that it takes him away from the 24-hour care of his vulnerable, sweet, but very odd younger brother (an admittedly very attractive character). Overall I gotta say that Sam’s character could have used a few less perfections: he is stunningly handsome, incredibly kind, impeccably honest, completely morally good, very intelligent, and one of the best guitar players alive (if Emily’s music-teacher father is to be believed). Sure he’s had every disadvantage with his crazy abusive father, no friends, schooling, or meaningful connection to the outside world – but this doesn’t humanise him for me – it makes him even more inexplicable. Again, I can’t help but think religion, souls and Jesus must be resorted to to explain such perfection in a character that grew up with so much pain and abuse. Without going into the plot too much, I must also complain that Sloan seems to take the cosmic vengeance she wreaks on her unsavoury characters a little too far. The prideful, uncaring, and materialistic boy who makes a play for Emily in Sam’s absence is punished with a sunburn, bad fake tan, ticketed and towed vehicle, broken arm, injured foot, and total humiliation at the prom (I many have forgotten some others). It all seems a bit much, especially because Sam and Emily are entirely guiltless for all of these injuries. I can’t help but feel their hands are clean because Sloan taking care of all the dirty work for them. Mostly I think she relishes the bloody vengeance a bit too much (I enjoyed the first couple of scenes – but by the end, I was feeling a little ill on this boy’s behalf). These complaints aside – I did enjoy the general themes of the world working in unexpected ways. The plot and characters (though often annoying) were enough to keep me intrigued, and I didn’t abandon I’ll Be There at any point. I see how those who like Nicholas Sparks or Jodi Picoult would really go for this book. I found it to be very much like the Jackson Five song it is named for – cloying and sentimental, but appealing if that’s the kind of thing you are into. Is how I would describe Drowned Cities, a companion novel to Bacigalupi’s earlier Ship Breaker. Not a strict sequel, Drowned Cities follows Tool, the fearsome and compelling man/dog/hyena/tiger hybrid we met in Ship Breaker, as well as two new young characters: Mahlia and Mouse. 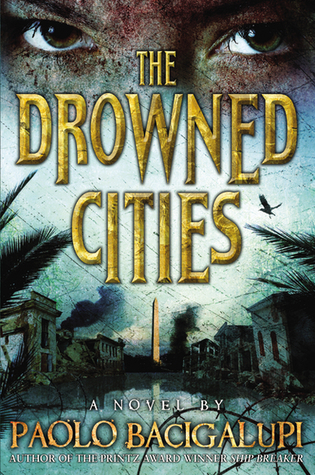 When I reflect on it, I think I liked Drowned Cities even more than the first in this series. Like Ship Breaker, it encompasses a marvellously complete and complex world – the detail is incredible, and somehow Bacigalupi makes his novel feel rooted in a place, but manages to hint that there are equally rooted, complex places throughout his futuristic world. Set after the flood/global economic collapse/environmental disasters, these books traverse a nightmarish future United States. Drowned Cities in fact brings us to the capital itself, Washington DC – now part jungle, swamp, war zone, and scrap heap. Mahia and Mouse are two “war maggots” – refugees that have managed to escape the violence and have been taken in by a kind-hearted doctor living in one of the villages in the Drowned Cities area. Mahia is a half-breed – her father was part of the Chinese peacekeeping force sent to tame the Drowned Cities and bring an end to the violence. The Chinese peacekeepers have left, but their “castoffs” like Mahia were left behind, though few have survived the wrath of the Drowned Cities residents looking for revenge on their former occupiers. Left with only one hand, Mahia is a survivor. When she happens upon Tool – almost dead after an epic battle with a swamp monster on top of an escape from prison – Mahia sees an opportunity. She nurses the monstrous creature back to life and then asks his assistance in leaving the Drowned Cities. Though he has no master (unlike the rest of his kind), Tool agrees to help her escape the war zone and the soldiers who continue to hunt him. However, when her best friend Mouse is captured and recruited by these boy soldiers, Mahia has to decide whether to risk everything and follow him into the heart of the Drowned Cities and enemy territory – or whether to take her chances with Tool and flee. What I remembered from the first book was the incredible detail and complex world. These things also struck me in Drowned Cities, but so did the characters and the almost non-stop action driving the plot forward. Not only is the world believable – the characters and their decisions are real also. Again, even more than in Ship Breaker, I found myself making comparisons with our own world: the factional warfare fought for no end but the glory of self-appointed “generals,” along with the unyielding hostility to occupiers promising to do good, struck me as familiar from Afghanistan, Iraq, and just about any other country the world has tried to interfere in. The recruitment of boy soldiers comes straight out of accounts I have read of civil wars in Africa, and the jingoism and xenophobia permeating the society seems reminiscent of areas of present-day America (and many other parts of the world). As is the case with all great science fiction, Drowned Cities reflects (and requires one to reflect) on our world: a world where privileged elites are separated from those they exploit, a world where people are too busy fighting to survive to help one another. Though the main characters of these novels chose to act decently when pushed to the limit, most of the population of Bacigalupi’s world is predatory and violent in response to a predatory and violent world. Tool himself is warfare personified – the most dangerous and destructive tendencies of humanity given life – and even this biological killing machine manages to show more humanity than those surrounding him. True to his dark vision, Bacigalupi does not give us any easy escapes from the world he envisions. Although he allows some to leave Drowned Cities, the place itself persists, a mire of death and destruction with no safe havens. Even more so than Hunger Games and the like, Ship Breaker and Drowned Cities send a shiver up my spine because of its unconquerable reality. If you are working your way through the mass of dystopias currently available, please don’t miss these startling and important contributions. Everyone is writing YA books these days – and the latest authors to jump on board are Jodi Picoult and Philippa Gregory. I admit, I’ve rather been dreading what both these successful (though repetitive, to my taste) authors have to offer. I was pleasantly surprised by the first half of Changeling. Though not exactly a literary triumph, it had some engaging characters and an interesting enough story line. Gregory certainly knows her history. The novel follows Luca Vero, a brilliant young man with a scientific mind who has been expelled from his religious order for heresy (he calculates that all the nails that various religious orders have claimed to have preserved from THE cross cannot possibly be true – they would outweigh the cross itself). He is recruited by the The Order of the Dragon, a secret organisation commissioned by Pope Nicholas V to track down the inexplicable occurrences appearing throughout the land during this end-of-days time. Assisted by a scribe/spy and a mouthy kitchen boy, he sets out to investigate strange events as they present themselves (or are presented to him). The other main character is Isolde, a seventeen-year-old noble girl who should have inherited her father’s estates. 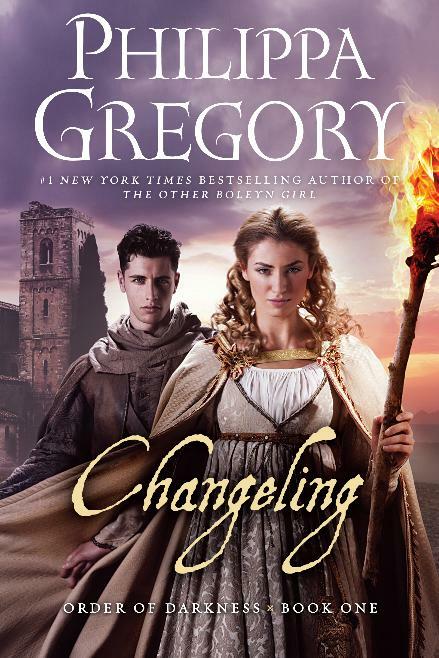 However, her brother has managed to conspire to rob her of this legacy – leaving her to chose between an unspeakable marriage or taking her vows and becoming the head of a nunnery. With no real alternative, she reluctantly enters the convent. Luca and Isolde’s paths join when he is sent to investigate charges of witchcraft at Isolde’s nunnery. Without getting into spoiler details, there is a conspiracy in the convent, and confusion about whether god’s work or evil is being done. At the 11th hour Luca solves the case, though he seemed to have no idea about what to do up to the very moment. I admit, my credulity was stretched to its breaking point in this climactic scene (imagine deranged, bald nuns attacking like creatures from night of the living dead). Even more puzzling was the fact that this climax came only halfway through the novel. I was wondering what could possibly be next – another climax? a denouement lasting 100+ pages? In fact, the end was a second, almost entirely discrete, episode taking place in another village. The second half of the novel was fine – but very strange. It felt much more like Gregory had put two books into one, with an odd little bridge to join them. Of course, there promises to be more adventures for the little group, but I am not sure who will be venturing out to join them. Bethesda Fielding is an over-achiever. And when she is given the assignment to solve a mystery in her life, she takes it seriously. Her target is Ms. Finkleman, the entirely unremarkable, and unnoticed music teacher. No one in the school (staff, students) know anything about Ms. Finkleman, and it is only when Bethesda finds a scrap of paper that leads her to some 1990s punk rock music, that she discovers that Ms. Finkleman was apparently once Little Miss Mystery, lead singer of the popular band, The Red Herrings. The school is quickly in an uproar over the jaw-dropping news, and Ms. Finkleman becomes the most famous teacher in school, when all she really longs for is continued obscurity and to forget the past. However, wheels are in motion, and before Ms. Finkleman can regroup, her program for a multi-school music competition is switched from 16th-century English folk ballads to rock music. In order to cope, Ms Finkleman makes a secret bargain with Bethesda and rock-obsessed loner Tenny Boyer to get the show off the ground. Full of quirky humour, zany side characters and plot twists, this book feels like a tribute band for Gordon Korman (he gives the book his recommendation on the cover) or Louis Sachar. And, as my co-worker points out, it’s very clever and smart, built for eager middle-grade readers like the over-achieving Bethesda. As a classroom read-aloud, it would be perfect, and I’m sure anyone reading it will be keen to share it with the teachers in their life (I have plans to give it to two middle grade teachers I know). 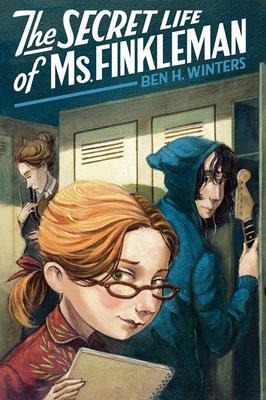 A little School of Rock, a little Harriet the Spy, Ms. Finkleman is a fun and engaging read for those looking for a mystery and a little wackiness. Caroline Adderson is a Vancouver, BC author with a lot of awards, and award nominations behind her. She’s chiefly known for I, Bruno, a book for younger readers that I always feel I should have read, but haven’t yet made time for. Her latest, Middle of Nowhere, is a bit of a granola book (teachers and other adults will love it), but is very well written and well told. This is yet another story with a mother who is MIA. I’ve encountered a lot of these lately – I guess mothers are a huge obstacle to interesting adventures – though usually there’s been a father kicking around. Here it’s just twelve-year-old Curtis and his five-year-old brother Artie left on their own. When their mother doesn’t return from work on time, Curtis is 100% positive she will – soon. So rather than risk their being sent to a foster family, Curtis covers for his missing mother – scrounging to feed them, show up for school dressed and clean, and generally look like there’s an adult in their lives. His faith in his mother, and all his efforts and worries are heart-breaking. Things change for the better and more interesting when the boys make friends with Mrs. Burt, a frighteningly cranky old neighbour who asks them to run errands in exchange for some much needed food money. Soon she is offering them an escape from their desperate situation (with landlords demanding rent and teachers closing in on the scent), and they take it. As the trio begins their escapade to a cabin in the woods, the book becomes very complex. It takes the reader and Curtis a long while to figure out what is up with Mrs. Burt – why she is so unhappy, so kind, and also so shifty. I’m not sure what kids will get from this book (probably an interesting read), but adults will certainly sympathize with her and find her to be a rich and fascinating character. And because it’s a children’s book, everything does end up ok, with a twist I truly didn’t expect. 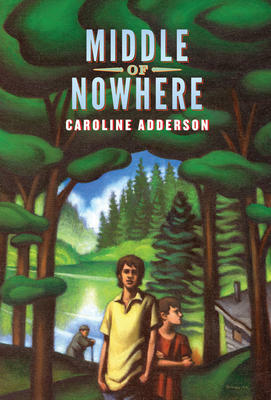 Well told and with a bit of freshness, Middle of Nowhere is a solid book for 8-11 year olds and a nice addition to the children-abandoned-by-their-mothers genre. 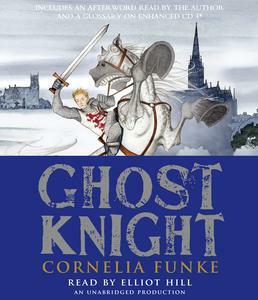 Cornelia Funke is a big-name children’s author. She’s had two of her books turned into films (Inkheart and Thief Lord) and for a few years when Harry Potter and magic ruled the shelves, Funke was all the rage with the under 13 set. And I still think she’s a big name, though her previous book, Reckless had a much quieter reception than usual. I have to admit I come late to Funke – Reckless was the first novel I read by her, and now Ghost Knight is the second. Ghost Knight is a return to her usual target audience and tone – a light fantasy adventure story for 8-12 year old readers, though not without some scary moments. Set in Salisbury, England, Ghost Knight takes advantage of all the legendary hauntings in the city and its cathedral. The main character, Jon Whitcroft, has just been sent to boarding school in Salisbury by his long-suffering mother. With all the furore of an eleven-year-old, Jon hates his mother’s new boyfriend, “The Beard.” His attempts to sabotage their relationship seems to have made him very unpopular in the family – and his latest stunt has resulted in him being packed off to boarding school. The story really gets going when Jon is chased through the school grounds by a evil-looking gang of ghosts intent on killing him. None of his classmates can see them, but thankfully his attractive schoolmate Ella, who has experience in these matters, believes him and offers to help. Together they summon the spirit of Sir William Longspee to help, and together the three face a vendetta and a mystery dating back several centuries. As I said, this book is fun and rather charming. The illustrations are beautiful, and would make it a very pleasant read for most 9-11 year olds (and their parents). What I found frustrating is that the plot seemed to have mostly resolved itself about 2/3 of the way through the book. Though there were still mysteries to solve, there was no big climax at the end. Instead there were a number of smaller climaxes scattered through the last two-thirds of the novel. So while I was pulled along enough to finish Ghost Knight, I wished the suspense and pace had been more intense during the last hundred pages or so. Also odd was the narration, which told the story from the future. One got the feeling that an adult Jon was narrating in a wiser voice-over, much like The Wonder Years. This led to some so-so foreshadowing, but mostly it took another chunk out of the suspense and supposedly life-threatening situations. I wish I had read Inkheart to know how Ghost Knight compares. For me, this was a decent read, with some nice imagination and ok characters. However, I wanted it to be just a little bit better and more-attention grabbing throughout. Perhaps I’ll have to bite the bullet and watch that terrible Brendan Fraser movie after all? I picked up The Vanishing Act a few days ago. Someone asked me if it was good, but I told them it was still too soon to say – I was only on page 6. Later I was 50 pages in, and still not sure what I felt. When I was 100 pages in and still reading, I felt it must be good, but was still not certain who it was written for. Then I was 150 pages in and thinking how odd and quirky and charming it was, without really knowing if I would recommend it to anyone. Now I am done, and it is only in the process of writing about it that I am really coming to understand what I read. Perhaps for a book interested in thinking and philosophy, this is a strong compliment. The closest comparison I have for The Vanishing Act is to novels by Jostein Gaarder, author of Sophie’s World, or to the odd but charming Noah Barleywater Runs Away by John Boyne. This is a whimsical book with the feel of a fable or parable, with a decent heaping of philosophical content. On a tiny island in the ocean somewhere, after a horrible war, we find Minou (a young girl), her father (a fisherman and a philosopher), Priest (a priest who bakes pretzels and makes origami cranes), Boxman (a magician) and No-Name (a performing dog). Minou’s mother used to live there also, but she disappeared almost a year ago, and Minou is desperately focused on her return. Unlike her father and the other Island’s inhabitants, Minou is certain that her mother has not died, but has simply disappeared. The story begins when Minou and her father find a dead boy on the beach – an oddly comforting discovery for the two of them. The body smells of oranges, and seems to enter their lives with a promise to connect them to what they desire most. For Minou, this is her mother; for her father the philosopher it is to find the fundamental truth from which all others can be drawn. In the end, as they care for the body during the three days it takes for their delivery ship to arrive, Minou and her father both experience closure for her mother’s death. No longer reliving the past, Minou is able to look towards her future and imagine the day when she will leave the island. Like Waiting for Godo, we don’t know where the characters are, or why, but it does not matter. They have been collected here by the author precisely so she can tell Minou’s story. Reason and imagination, the head and the heart, are in constant tension in this book which pays homage both to philosophy and to art. The writing is lovely, the characters interesting (if not entirely unique) and the mystery surrounding Minou’s mother’s disappearance intriguing enough to keep a reader hooked. I was not a fan of the philosophy – whenever the characters overtly tried to think “rationally” or “philosophically” they ended up closing their minds to the world around them. Some philosophical questions were opened up for the reader, but I think in the battle between philosophy and art, art came on top, when I think it should have been a tie at least. So while I enjoyedThe Vanishing Act, the question still remains of who is intended to read this novel. My most likely guess is sophisticated young readers and their sophisticated parents. Anyone who likes a healthy dose of whimsy. Voracious readers looking for something unique. The literary-minded. Above all, I am curious to see how others will react, and what page they will be on when they know what this reaction is. If you haven’t heard of A. S. King, I hope you will soon. She is a wonderful YA author that I have just discovered, and am thinking of starting a campaign for her (though many of the awards committees like the Prinz, Kirkus, etc. etc. have started without me). Like John Green, A. S. King creates fantastically compelling and memorable characters to tell her stories. Her latest, Everybody Sees the Ants came close to being an all-time favourite with me, mostly on the strength of the main character, Lucky Linderman, and his wry look at those around him and his own struggles. I just finished King’s second book, Please Ignore Vera Dietz, and I was not disappointed. 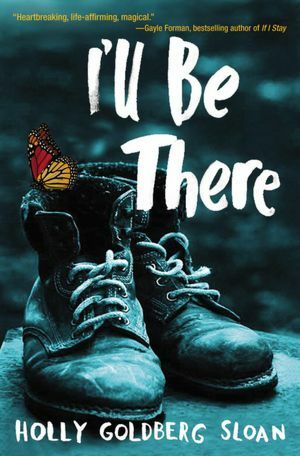 Like Ants there is a teen facing insurmountable odds and a heartbreaking situation – and in both the details are doled out slowly, keeping the reader in suspense. Also like Ants, there is an inexplicably surreal element running through the story. I suspect some readers will be put off by it, but I think King does a remarkable job of weaving the fantastical (and we’re not talking vampires or werewolves) into the real. To give you an idea: Vera’s best friend Charlie has just died. Except that when he died, she was angry at him, and now Vera is struggling with the conflicting emotions of losing a life-long best friend, and also a worst enemy. As the novel progresses, the crack-lines that permeate her life and that tore apart Charlie’s become increasingly apparent. Him from a family with an abusive father. Her with a runaway mother and a father incapable of expressing emotion. Him having fallen in with a bad crowd and a psychotic girlfriend. Her with a drinking problem that is a repeat of her dad’s as a teen. Him as a ghost by her side – haunting her and helping her. The story telling is gorgeous and spins out beautifully – Vera’s past intertwines with the present and is interlaced with chapters told by her father, Charlie “the dead kid,” and the local landmark “the pagoda” (yes, an inanimate building). Your heart will break for Vera and Charlie and her father, and will swell when it sees what she might make of her future, and the kind of person she is and might become. I’ve never read a love story/friendship quite like this one – and especially in the YA genre (where every permutation is hashed to death) that is saying something. This book was sophisticated and meaningful. Like Ants it was not without its flaws, but it was top-notch, and deserves attention. This review originally published in Island Tides, Volume 24 Number 9, May 3-16. Reading the Right and the Real, I am already a fan of Joelle Anthony. When her first young adult novel, Restoring Harmony, came out two years ago, I read it with great relish. Not only was it a story rooted in a place I know well (the main character starts out on a Gulf Island much like Gabriola, where Anthony lives, and travels down to Portland) – it was an all-too-real version of the future, circa 2041. With convincing detail, Anthony turned our familiar West Coast into a bleak and chaotic landscape, populated by believable characters struggling to make their way. With The Right & the Real Anthony has once again proven her ability to make a big issue immediate. Here her focal point is religious cuts, as represented by “the Right & the Real Church,” headed by the loathsome “Teacher.” The novel begins at Jamie’s father’s wedding, where she is unexpectedly asked by the Teacher to sign the Pledge committing herself to the organisation. Though her father has been taken in by the Church’s dogma, Jamie has remained aloof. Yet it is only when she refuses to sign the pledge that the true nature of this organisation becomes apparent. She is summarily cast out of the church, her house, and her father’s life. Anthony creates a keen sense of frustrated helplessness, as Jamie’s old life is inexorably stripped away from her. I find myself fuming at the unfairness of it all. Unable to access her father, and refusing to be sent to live with her estranged mother, seventeen-year-old Jamie ends up on the street with few options. Outside of fantasy or thriller fiction, teen authors rarely force their characters into such desperate straights, though many teens are one argument away from leaving or being kicked out of home. Jamie’s story illuminates everything these teens face: the petty day-to-day struggles to feed oneself, the looming threats of danger and violence on the streets, and the desperation of watching potential futures slip away. Thankfully, Jamie is a tough and resilient heroine, and she is helped by a guardian neighbour, LaVon. Though LaVon is almost too perfect as a character, it is impossible not to love this gigantic black ex-con trying to kick addiction and live straight, who also knows his way around a hot plate and has an unshakable environmentalist ethic. As with LaVon, the novel’s main weakness is when it tips towards what we would like to happen in this situation, rather than portraying what is real, particularly in the final act, where a fun but over-the-top caper dominates the action. Nevertheless, with Anthony’s tight command over detail, character and suspense, The Right and the Real remains a compellingly right portrait of the anguish of losing a loved one and finding oneself without options in a hostile world. Children's Book Cellar · random reads from a children's bookseller.